As North Korea and South Korea have engaged in negotiations over the upcoming Olympic Games, the world is holding its breath over whether there is truly a thaw in relations between the two nations. 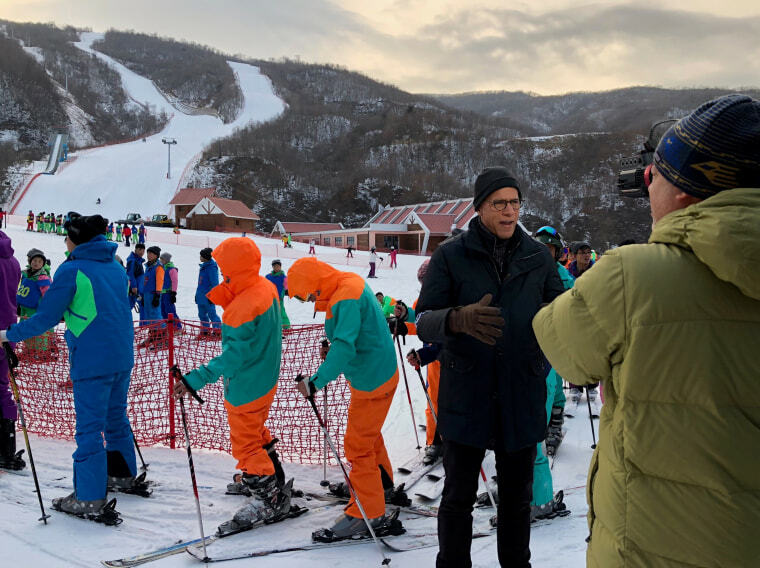 NBC News' Lester Holt traveled to a modern ski resort about four hours outside the capital city of Pyongyang, where athletes from North and South Korea are training for the Olympics. He said the joint training is a result of the recent talks between the neighboring nations. For more, watch Holt's full report on Tuesday's "Nightly News."